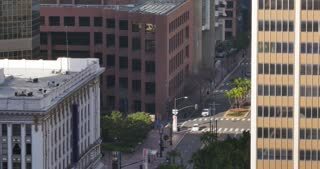 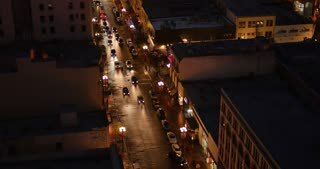 A high-angle view of light morning traffic on Broadway in downtown San Diego. 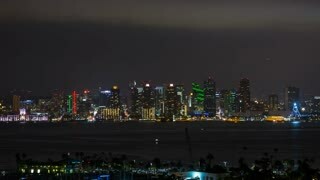 SAN DIEGO, CA - Circa February, 2017 - A nighttime aerial view of the San Diego skyline. 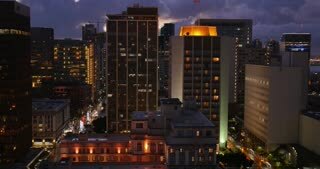 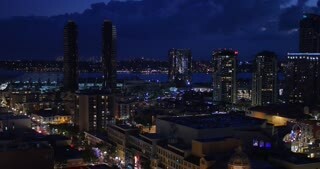 SAN DIEGO, CA - Circa February, 2017 - A high angle aerial view of the San Diego skyline at nighttime. 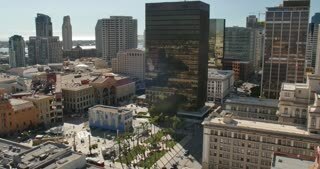 SAN DIEGO, CA - Circa February, 2017 - A daytime high angle aerial view of the San Diego skyline. 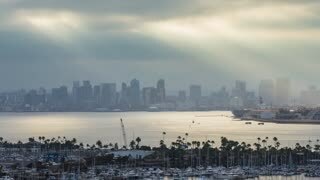 SAN DIEGO, CA - Circa February, 2017 - A daytime aerial view of the San Diego skyline.